We previously showed you how to make your Android's LED notification light dance to music, but the app itself was limited in customization options, the devices it worked on, and the music apps and services it worked with. Now we'll be showing you a similar app that supports more music services and lets you select which colors will display through the LED. Thankfully, developer LVP did some extensive work and has presented a list of devices that his app has been tested on and confirmed working for. He also has as a list of compatible music players. 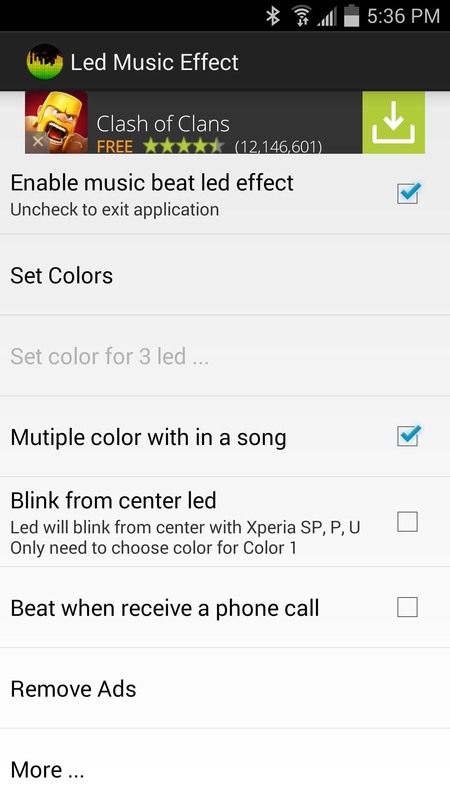 Go ahead and install LED Music Effect on your device, available for free from the Google Play Store. As the name indicates, your device will need to be rooted, so follow our guide here if you need to take care of that. 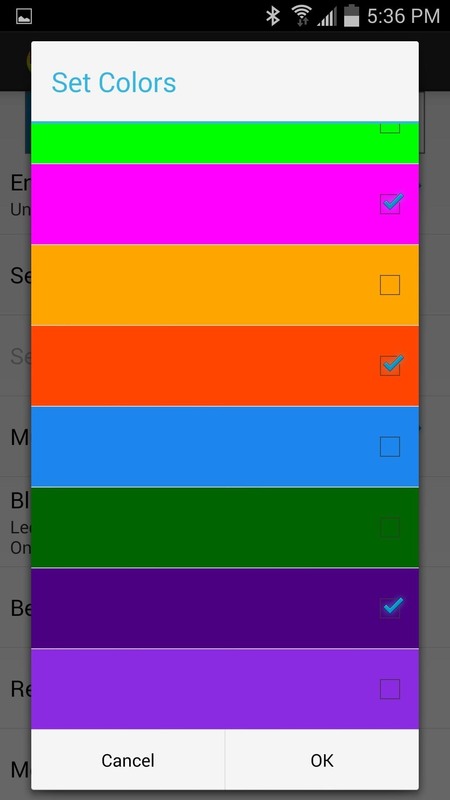 Open the app and enable the service, then select the colors you want your LED to flash. Other options allow you to use the middle LED for certain devices and to flash colors when receiving phone calls. If you select "More," you can use the in-app purchase for the Pro version ($1.41) that removes ads and allows for more rapid light flashing. Once the settings are adjusted to your liking, launch a music player, then grant the SuperUser access request that follows. With a song playing, either through headphones or the speakers (there is no Bluetooth support), the light will pulsate to the sound of the music. Let us know how it worked for you, and for more Android tips and tricks, keep up with Gadget Hacks over on Facebook, Google+, and Twitter.